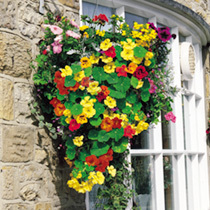 A spectacular trailing nasturtium for all your baskets and patio containers, where it will produce a colourful cascade of vibrant ‘dayglow’ blooms throughout the summer. 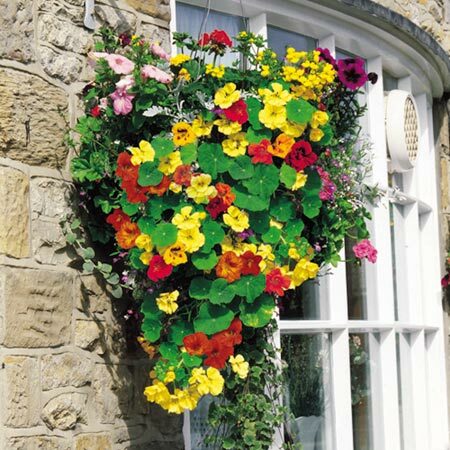 Lovely mixed with other hanging basket plants. Flowers June-September. HA - Hardy annual.